If your siding is damaged or starting to fade, then make sure you get in touch with Peterson Roofing. With the help of our expert siding team, you can completely transform the exterior of your home. 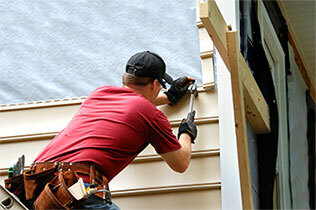 All of our siding projects are completed with the best siding solutions on the market. Your home will be covered in top-quality siding designed for style and function. 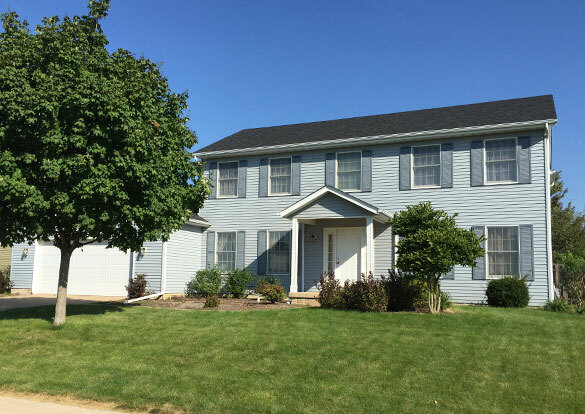 Give your home a new look today by investing in new and beautiful siding! Quest3 Series siding provides the premium solution for homes that value the superior performance, beauty, and design that advanced vinyl technology delivers. This premium panel features a double thick nail hem for greater stability, achieving a maximum wind resistance capable of withstanding 190 mph winds. It also features the most secure panel lock system in the industry, GELOY® sun protection and backed by Alcoa’s V.I.P warranty! Free estimates and limited lifetime warranty available for all of our shingles!